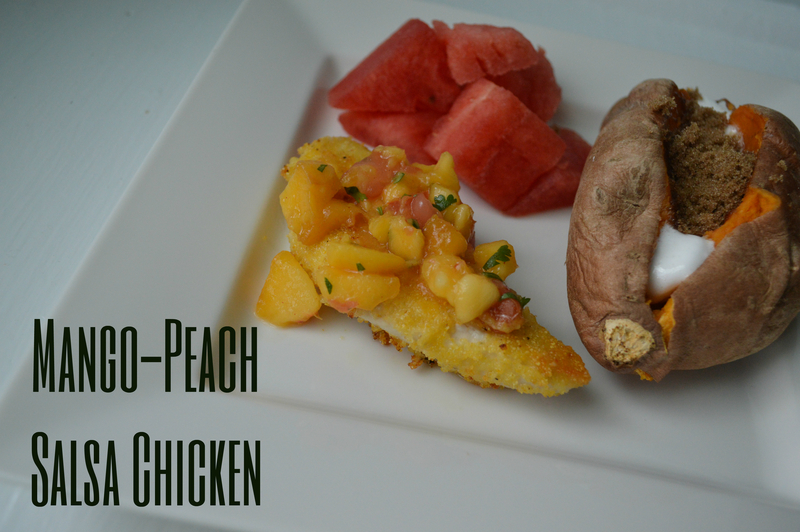 This recipe has given to me by one of my best friends and it sure is yummy and pretty easy too! That is always a plus! 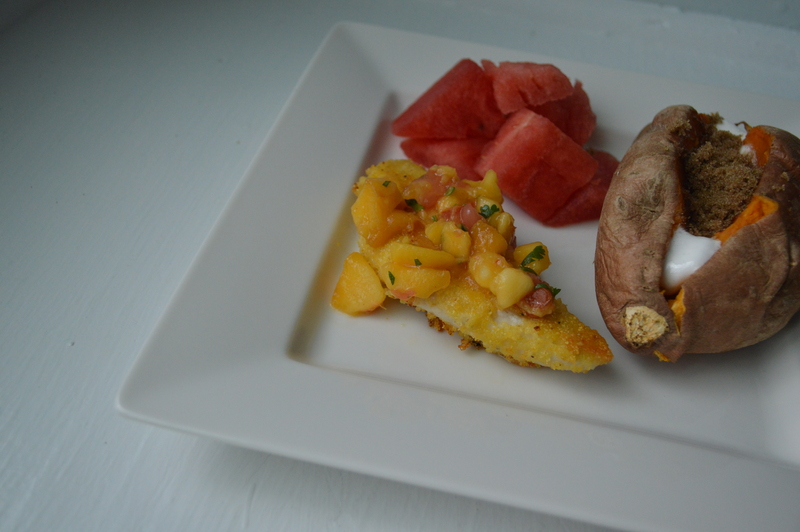 The PERFECT summer dish with a dash of fruity sweetness and a zip of spice. 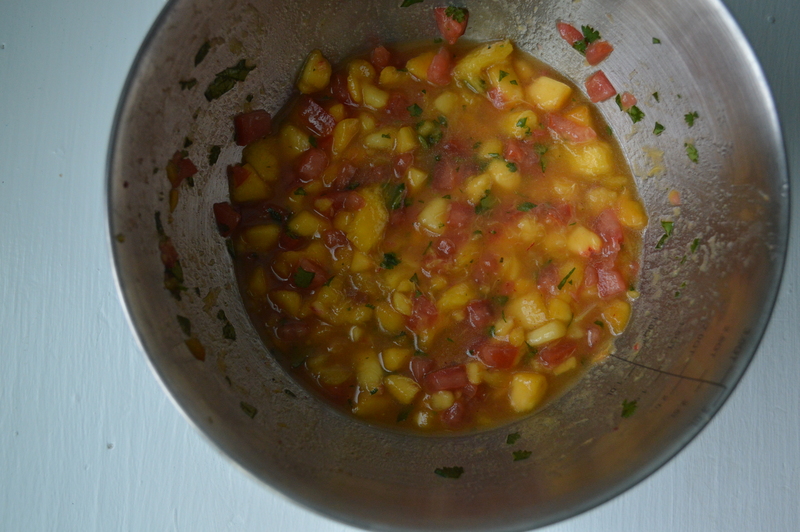 To make the salsa, simply mix the mango, peaches, tomato, cilantro, vegetable oil, vinegar, and salt together in a large bowl. Refrigerate until served. 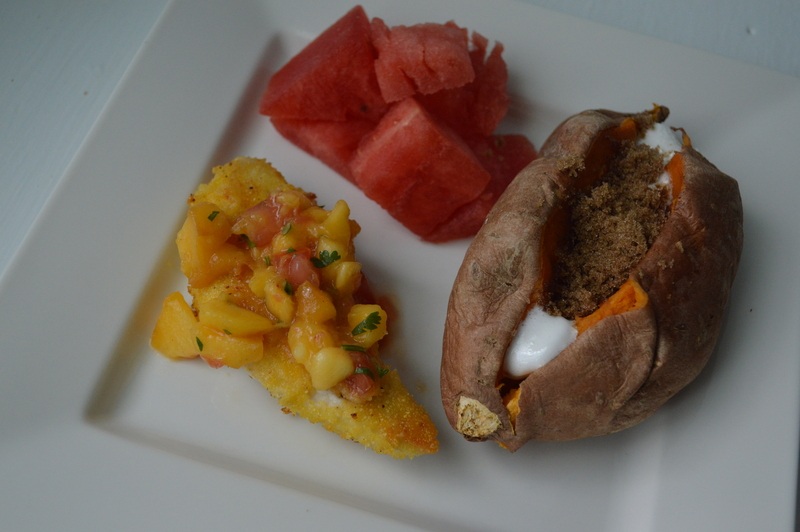 To make the chicken, mix the cornmeal, salt, and pepper in a shallow dish. 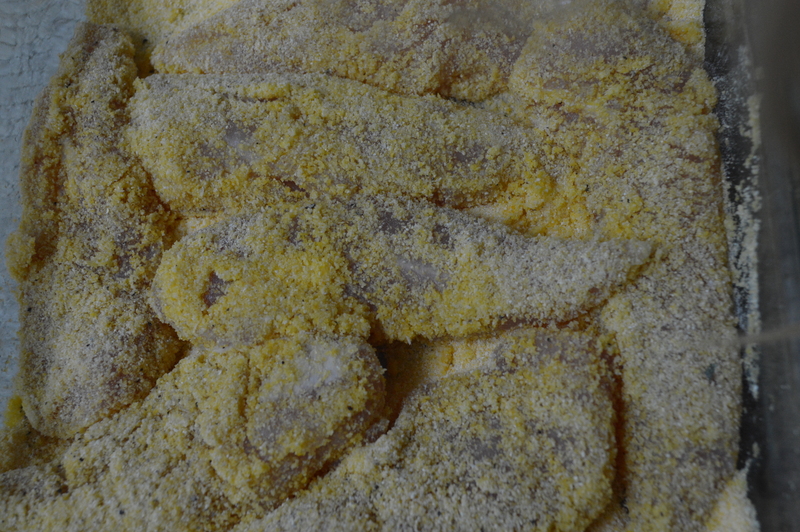 Coat the pieces of chicken in the mixture until fully covered. Heat the oil in a skillet on medium-high. Cook the chicken in the oil for 15-20 minutes, turning once. 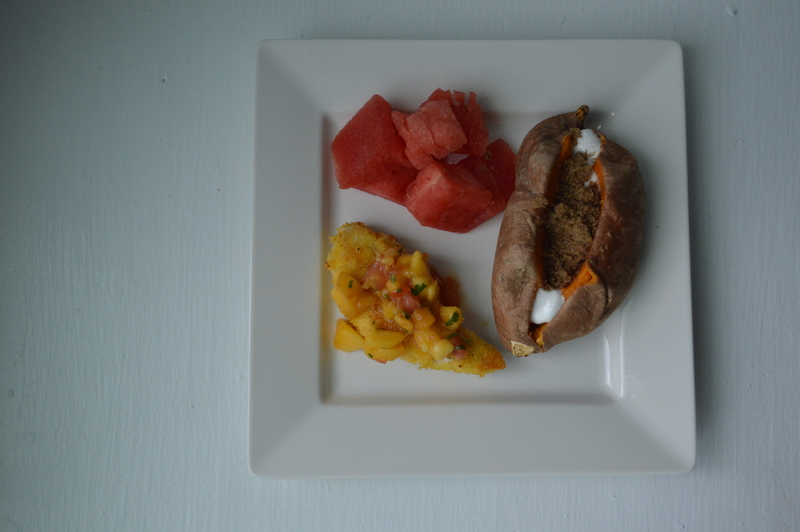 Serve with salsa and VOILA!